In this excerpt (courtesy the Daily Mail), Steven Gerrard reveals the names of the clubs that came in for him before his exit, and what could have made him stay at Liverpool. 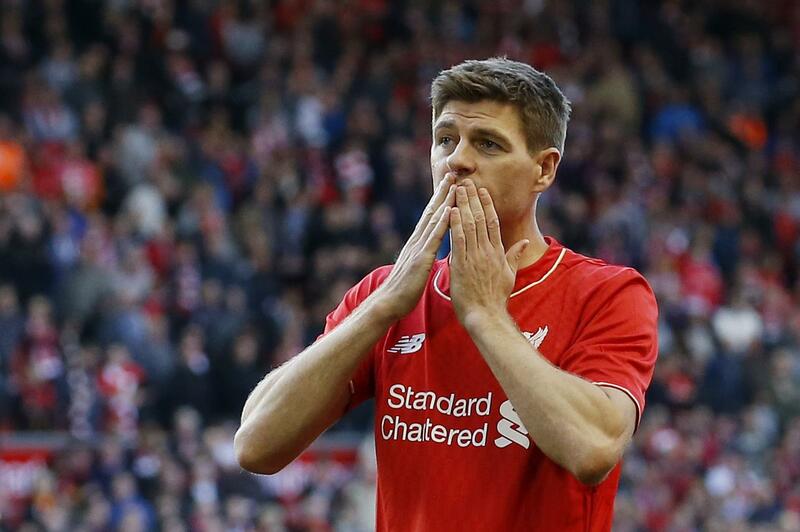 “Before I went public with the news, other clubs were hearing I might be leaving Liverpool. The first offer came from Besiktas, then managed by Slaven Bilic. Monaco were next. They came in strong. Paris Saint-Germain were also very keen. David Moyes called my agent a couple of times, to see whether I would be interested in playing for him at Real Sociedad. A few English clubs called but I wouldn’t play against Liverpool. There was interest from Tottenham manager Mauricio Pochettino. It was good to know he still rated me. I was sure I could play in the Premier League for another year but there would not have been much of a buzz doing the same thing all over again with Tottenham. I was slightly interested in PSG and Monaco but how could I come back to Anfield if there was a European game? I’d had high hopes for my final contract from Liverpool but I just wanted to get it settled so I could get back to thinking only about football. Brendan Rodgers wanted me to stay, but the club’s offer suggested ‘it feels like it’s time. Enjoy your last six months with us and then start afresh somewhere else’. The meeting to discuss a new deal lasted 15 minutes — a very short time to decide the conclusion to my Liverpool career after 27 years. It was pretty much a case of ‘this is the offer’. It seemed as if I wanted them more than they wanted me. The offer was a one-year extension with a 40 per cent pay decrease. The bonuses were very good but they contradicted everything that Brendan had told me. My game time was going to become less and less but they were offering performance-related incentives? I had no quibbles with the money offered. A substantial decrease was only to be expected. At 34 I was not the player who had lifted the Champions League trophy 10 years earlier. I also understood that I would have to play less — but I still valued myself as a top player and an important part of the team. I was still captain and I was disappointed to be offered a performance-incentive contract. I thought they would have known that, apart from pride in my own performances and an enduring love for Liverpool, I didn’t need any incentive to try my heart out. In a perfect scenario, Liverpool could have offered me a one-year deal which included the chance to make a transition to the first-team staff. A year with Brendan and his staff would have been an invaluable experience — which players like Ryan Giggs, Phil Neville and Garry Monk had enjoyed at other clubs. Soon after the reduced contract offer had been made, the club asked me to appear in an advert for Nivea. It was clear I was still important to Liverpool off the field. I turned it down. Jordan Henderson stepped in and when I saw the ad on television I was relieved. Doing those kind of ads just isn’t me. I’ve had tons of offers to advertise products bare-chested and I’ve always said no. Maybe that’s why, unlike most leading players, I’ve never asked for an image rights deal with Liverpool. I’ve heard players talking about image rights and how much it will earn them but it’s disgusting for a player to ask for image rights from his club. When you sign a contract then you sign your image rights over to the club. They pay you well and you work for them. Maybe it’s different if you are Messi or Ronaldo but the Nivea advert was one request I could turn down. 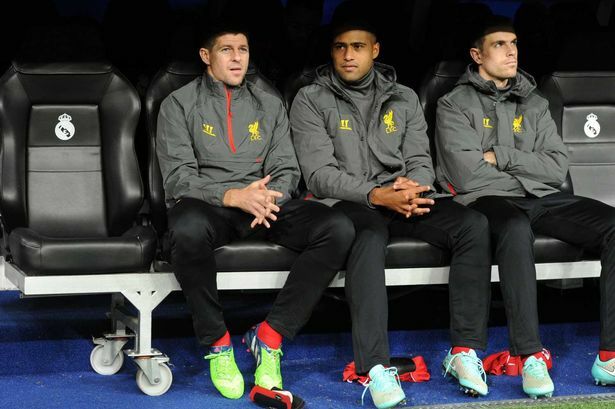 I have fulfilled many commercial obligations for Liverpool over the years because it’s part of my job as captain. My career has been about football: neither vast amounts of money nor a celebrity image really interests me. 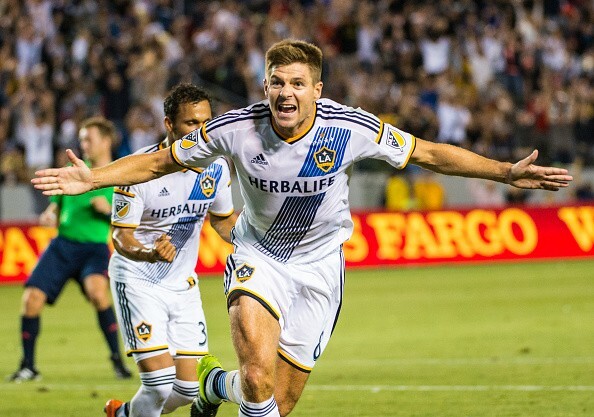 So I had no problem when it became clear that if I decided to play Major League Soccer with LA Galaxy, it would be for less money than if I had stayed at Liverpool. It’s also why I turned down a €13.5million (around £10m) net deal to play in Qatar for two years. That would have been more than I’d ever earned, but Qatar wasn’t the right place for me and my family. America was much more appealing. MLS would allow me both to continue playing at a decent level for a few more years and to spend some proper time with my wife, Alex, and my daughters away from the pressure-cooker of life in Liverpool. Professionally, I could not have accepted becoming a squad player. I remembered seeing Frank Lampard — a great player, and a close contemporary — sitting on the bench for Manchester City week after week after he left Chelsea. I don’t think I could have followed the same route. I always want to be playing. That was in my mind when we went to Madrid for a Champions League game against Real on November 4. It had made me nostalgic for March 2009, when we had beaten them 4-0 at home, 5-0 on aggregate. They sauntered into Anfield thinking they were going to turn us over. One of the Madrid papers ran a front page with a photograph of Liverpool’s ground. Above it was the headline, ‘So this is the famous Anfield?’ And there was another below it which said, ‘So what?’ We blew them away. Five years and four months later it was my turn to be shocked when I was left out. We were due to play Chelsea at Anfield on the weekend and Brendan decided that Mario Balotelli, Raheem Sterling, Philippe Coutinho, Jordan Henderson and I would start on the bench against Real. He supposedly wanted us fresh for Chelsea. If Brendan’s managing of my games meant that I would have to miss playing against Real, in Madrid, it seemed as if I had seen the end. How could I go on playing for Liverpool another year if these were the kind of empty nights that awaited me? I came on in the second half and while it was only a 1–0 defeat it did feel like Brendan had surrendered even before kick- off.